When I was at Alt Summit (a blogging conference I love and attend nearly every year) a few weeks ago, I asked if people had questions about blogging and I loved seeing the interesting responses that came in about how to start a blog and what they need to know about running a blog. I’m not the world’s foremost expert on blogging, but it is a topic I’m super interested in, as you know, and it’s one of my favorite things to talk about (if you have anywhere to be, don’t ask me about books or blogging, because I’ll talk your ear off and you will for sure be late to your appointment). Whether you’re wondering how to start a blog, trying to decide if blogging is for you or looking to grow an existing blog, I hope these questions and answers will be helpful! What should someone know before starting a blog? First off, I always tell anyone who is asking about how to start a blog to give it six months. I can’t tell you how many friends and family I’ve seen start blogs, write 3-5 posts and then never post again. If you’re serious about starting a blog, commit to giving it six months (and preferably a year) and posting consistently. Of course you aren’t going to have much traffic the first few weeks or months, but if you give it some time and keep working on it, chances are it will start to grow. Second, it’s a LOT of work! I remember a couple of years ago hearing an author speak at a book event and mentioning how fans will tell her “I LOVE your book! I read it in one afternoon!” and she thinks, “It took me two years of life to write that book that you flew through between lunch and dinner!” It’s kind of the same thing with a blog. It might take you ten minutes to read a blog post, but that blog post will probably take 2-3 hours to write and photograph. Not to mention sharing it to Instagram, Facebook, Pinterest, and Twitter, and then responding to comments or editing it when you inevitably notice a typo after it’s gone live. I know some people get so annoyed that influencers get paid for “just posting a picture” or writing a post, but until you’re doing it yourself, it’s hard to contemplate exactly how much goes into any of those picture or posts (much like it’s hard to understand what exactly about a baby is so time-consuming until you have a small infant of your own and can barely squeeze in a shower). Third, just start. You can make yourself crazy reading and researching beforehand all the things you need to know about how to start a blog. I promise, you’ll never get it perfect. Just start. Don’t stress too much about the perfect name or the perfect template or perfect logo or getting the perfect camera. Set up a free blog and start publishing posts (even if you don’t tell anyone about said posts for a while). You’ll learn more from actually doing it than you ever ever will just researching in a vacuum. Do you believe it would be possible to start a blog as a side project while you have another job or is it something you need to jump all in to in order to make it work? You can absolutely do a blog as a side project. I am a massive fan of doing everything possible as a side gig and not putting all your eggs in one basket. Plus if you have other income, there won’t be the stress or pressure to make your blog a money maker right from the get-go (which, I can pretty much guarantee you it won’t be). Everyone has different risk tolerance, but my risk tolerance is low and I would personally almost never be willing to jump all in on any project right from the get go. I think many of the blogs I follow started a decade ago… is there still room for new startup blogs, or is the market pretty well saturated now? I 100% believe there is always room for a new blog. Every year at Alt Summit or Mom 2.0 or other conferences, I meet people who have started a new blog and been majorly successful. As long as you’re providing value, there’s always room. Of course, it’s probably a little harder now than it was ten years ago because there are so many blogs now and the standards for visuals are higher, but there’s absolutely space for new voices, new points of view, and new ideas. My friend Ralphie started Simply on Purpose just over a year ago from nothing (I think she had about 300 followers on Instagram that were basically just her friends and family) and now a year later, she has 25,000 followers, hosts workshops around the country that sell out in a matter of hours. My friend Holly asked me for advice when she started Our Faux Farmhouse last year and now she’s WAY bigger than I am. I’m asking HER for advice! Both of them were in niches with a ton of other people already, but they had their own spin and voice and found an audience who loved them. How do you get readers to respond? Engagement is the name of the game now, especially on social media which all runs on algorithms. There are a million articles out there about tricks to get people to respond, but basically my basic theories are to write posts I’m super enthusiastic about and want to talk about (because if I care about it, chances are good other people do to), respond to the people who DO respond (which I’m not 100% about, but I try to respond as much as I can), and ask real questions that actually invite people to want to share their expertise or opinions. I also want to know all about the conferences. They’re so expensive! Are they really worth it? Like all things, the answer is “it depends.” For me, conferences have three purposes. First, it’s a chance to learn new skills and gain inspiration. I always come away with a couple of new ideas of things to work on or things I can do better, whether that’s engaging more on Instagram, taking better photos, or launching an email list. Second, it gives me an opportunity to meet sponsors and can lead to paid relationships. Sometimes those are sponsors I already know and want to solidify a relationship with them or a new company I’d love to work with and want to talk to in person. Third, it gives me a chance to see my blogger friends that I don’t have a lot of opportunity to see, since they live in all across the country. 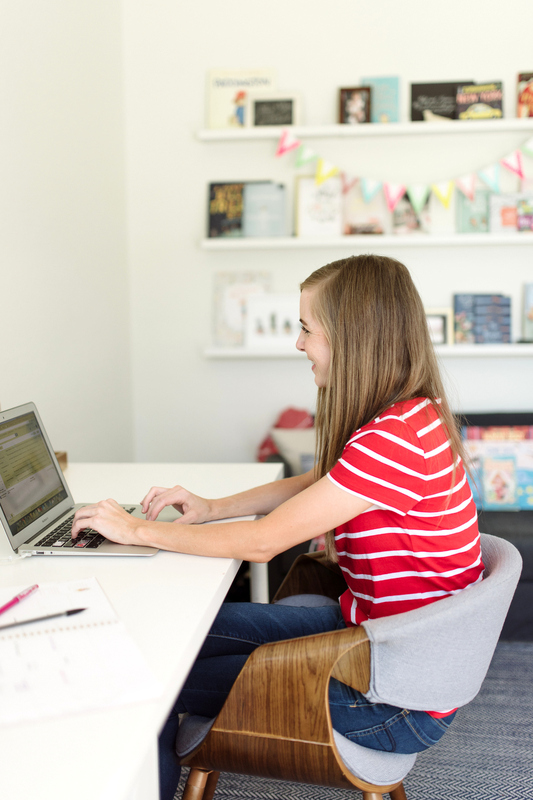 Blogging is a pretty solitary job and it’s so delightful to talk with other people who want to talk about all the nitty-gritty of blogging, since it’s one of my favorite topics. It’s so helpful to see what other people are doing that’s working and making friends to bounce ideas off of. I think a conference is a really great way to take your blog seriously, have a really fun time, and be re-energized. It’s also usually fairly pricey (around $1000 for most of them), so if you’re going to go make sure you know what your goals are, whether that’s going to classes, meeting specific sponsors (come ready to tell them why you want to work together and why it’s in their best interests!) or meeting new and old blogger friends. Also, they just are FUN. Bart says his conferences never have unicorn dance parties and I tell him he picked the wrong job. Of the “bloggers” that you know, did most of them set out to create something more than a personal blog or was it something that they just sort of fell into after realizing they had something others wanted? Many bloggers that started more than five years ago, started just writing for fun and worked up to being bigger, professional bloggers. My impression is that most of them didn’t know that having a professional blog was even a possibility when they started (much like I never expected to make money on my blog). Newer bloggers seem more likely to have started after recognizing that this was a legitimate career path and going after it seriously because they were seeing other bloggers growing and monetizing. How do you create a community or friendships with people you mostly never meet? Other bloggers? Because of my personality, I’m always going to favor a few close friendships over massive amounts of acquaintances. I no longer go to conferences expecting to come away with a ton of new friends – now I plan to really connect with a couple of people and make a big effort to get to know them and become real friends. I have about four really close blogger friends that I text, Marco Polo, and email with on an almost daily basis, and about a dozen more that I communicate with sporadically. One of the best things ways to meet other bloggers near you is to go to blogger meet-ups. In every city I’ve lived in, there has been some local blogger group that has events and that’s a great way to get to know other bloggers. I also think the best blogger friends are usually the ones in a similar size range to yours. My closest blog friends are all very similar in size to mine and have been blogging for similar-ish lengths of time, although we all blog about different topics. If someone has a MUCH bigger or smaller blog than you, they’ll probably be thinking about different techniques, have different questions, and working on different things than you are. If you’re making $20 a month on your blog, your blog issues, questions, and goals are going to be different than someone making $2000 per month on their blog and that’s going to be different than someone making $20,000 per month on their blog. And like any friendship, blogging or not, it’s going to be based on how much you actually like each other, so you want to find people you really connect with and can send fun texts to, call when you’re having a bad day, or email when something wonderful happens. Miranda sent me a baby care package when Tally was born, stayed at my house with all her kids when they visited Arizona, and texted me lots of emojis when they bought a new house. We’re real friends, not just blog friends. I would love info on how to grow an online presence! Everyone wants to grow and it’s always the biggest topic at every conference or blog discussion. There are a million techniques and some work better for some platforms than others and some are more workable for certain niches and topics than others. 1) You need great content. Whether that’s beautiful photos and top-notch captions on Instagram, interesting and useful posts on a blog, or fun videos on YouTube, if you don’t have good content that appeals to at least some segment of the population, you’re pretty much dead in the water. 2) You need to make it available to a new audience. That might be hashtags on Instagram or Search Engine Optimization on a blog, but you need to make sure that the people who want your content can find it. 3) Having other people share your content. At the end of the day, you can only get your content in front of so many people, and you need other people to share it. That might be your audience organically tagging their friends on Instagram (“@friendofmine, you have to check out Ralphie – she has such good parenting advice that might help with your terrible twos toddler!) or a bigger site sharing a specific blog post or other influencer friends sharing your content with their audience, you need other people to help spread the word. How do I use different social media platforms interactively? I don’t know anyone who is using all the available platforms at max capacity. Most successful bloggers seems to choose 1-3 that they can really manage and use them all a little differently. In my case, I use Instagram to share book recommendations and snippets of our family life, and then I use InstaStories to chat about books, share new blog posts, show daily adventures and share whatever’s on my mind in a casual environment. On Facebook, I share interesting articles, ask questions, share new and old blog posts, and share products I’m loving. On Pinterest, I pin book lists, recipes, home décor and fashion inspiration. Twitter is basically just to show new post updates. Pick 1-2 to start with, figure out what you’ll be sharing there and try to create content that will be interesting to your audience there. Adapt as needed and try to really engage with your audience there, whether it’s asking for advice, sharing good ideas, or answering questions. If you have other questions about blogging or how to start a blog, I’d LOVE to try to answer them – shoot me an email or leave them in the comments! Thanks so much for this post! I started a blog about a year and a half ago and love writing about books and motherhood. But I’ve been feeling stalled on it mostly because I don’t really have an audience- I link the posts on Facebook and just haven’t experienced much growth. Yet I’m trying to decide how much to care. I like to write and I’m okay not being a money-making blogger, so I’m just trying to figure out what I want my blog to look like. Anyway, thanks for these tips! I’m so glad it was helpful! And yes – growing an audience takes FOREVER! I love Alt Summit and Mom 2.0. I also think Snap is really good if you’re into DIY/crafting. This post is so helpful! Thank you so much for taking the time to write it. I’m not a new blogger, but I might as well be because I’ve been out of the game for so long. Things have changed a lot since I closed my first blog a few years ago! It all seems so different now, and a lot harder to break through and make real connections with other bloggers. One regret that I have is that I’ve never had the money or support I need to go to one of those conferences! I would love to go to a blogging conference one day. I’m so glad it was helpful! And the good news is that there are more conferences every year so hopefully one will be feasible for you soon! This was really a very useful post. I am startinga blog for my English class, and was wonering if I hsould continue it, even after the class ends. Your post has helped to answer a few of my questions, and I think that I will continue to erite my blog, even after my class ends.